How To Grow Potatoes | Go Vertical For the Best Yield! Make sure to check out the rest of my gardening tips! How would you like to grow up to 100 pounds of potatoes this summer in just 4 square feet ? The answer is going vertical! Of course, you can always plant potatoes the old-fashioned way in regular garden beds in your yard. 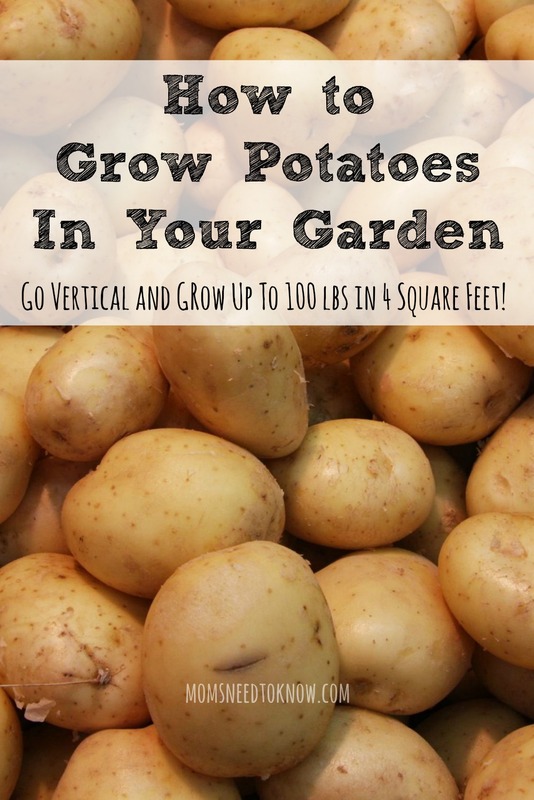 But if you don't have a lot of space when you are planning your vegetable garden, going vertical with your potatoes can be a a great way to still include potatoes in your garden this year! Potatoes grow the best when you can continually mound soil on top of them. By growing them in a wire cage, gardening bag or wooden box, you can grow a few potatoes in a small space but with a larger yield. We have used gardening bags for potatoes in the past and had some nice success, but this year, I am trying to talk my husband in to making a Lutovsky box for my garden. 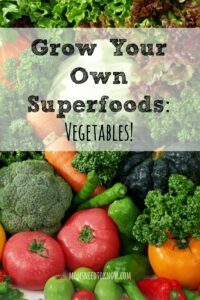 It looks easy enough to do from start to finish and might give us double the yield of the 2 gardening bags that we have used in the past! With the Lutovsky box or gardening bag, you start with a base of nutrient-rich soil of good planting soil with added compost.You can cut and cure the potato eyes if you want or just plant the entire seed potato. Plant one to three potato seed pieces on this base layer – these can be different varieties of potatoes as well. Cover the seeds with four inches of potting soil. As the potatoes send up vines and green leaves, keep filling the container with compost or potting soil. With a Lutovsky box, you grow up one board at a time. Once the base layer of seed potatoes' vines have grown 12″ above the soil level, it is time to add another board. Make sure not to cover more than one third of the vine. Keep doing this until you have six boards added to the box. If you are using the gardening bags, you roll down the sides of the bag for the first layer. Then as you add more layers of soil, you rolls the sides of the bag up with it! This gardening method requires a lot of water. Make sure the soil does not dry out and keep the soil evenly moist. By growing this way, the potatoes produce more than when done in regular mounds in an outdoor garden. You can try a few different types of seed potatoes so that you have a variety growing at one time. Remove the bottom board of the box (the gardening bags have flaps on the side). There will be the quite a few potatoes for you to find in the soil! These are the oldest and first grown so they should be harvested first. Once you have your potatoes, replace the soil and board. In a week or two, do the same thing with layer #2. Keep doing this until you have harvested all of the potatoes. Have you ever planted potatoes? Would you try going vertical?